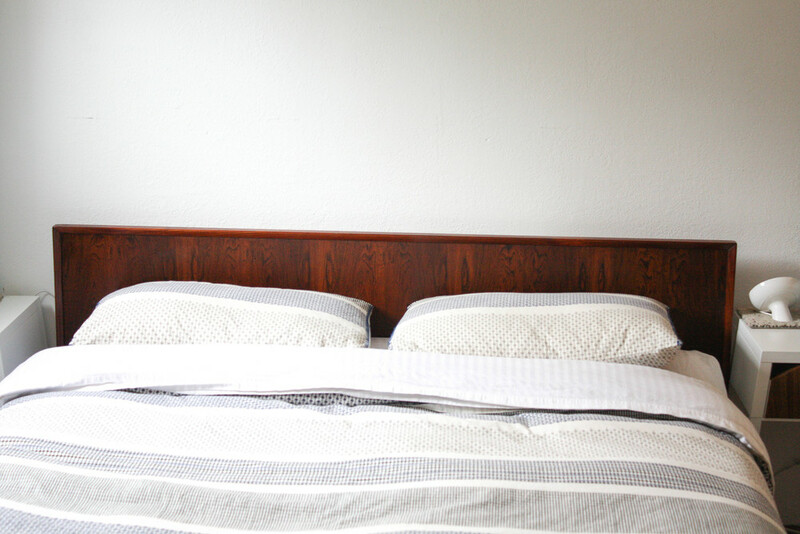 A stunning example of a mid century modern, Queen, rosewood platform bed. 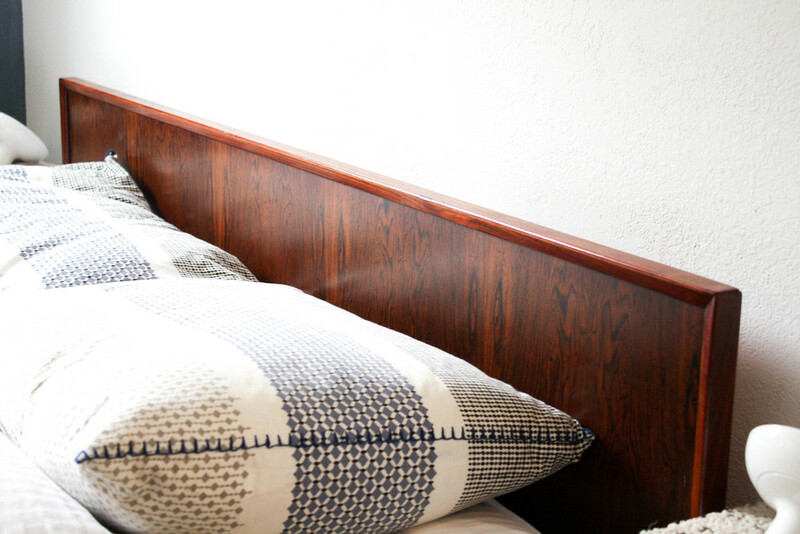 This bed is truly special as this species of rosewood has not been used for furniture manufacturing since the 1970's due to concerns on the environmental impact of harvesting such wood. The rosewood platform base gives the bed an awesome floating effect. Beveled edges around the headboard and footboard provide a nice dimensions to make the piece "pop".